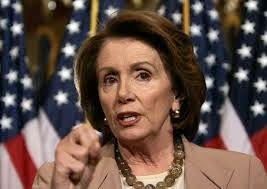 I hope Nancy Pelosi campaigns in every state and congressional district in the country. House Minority Leader Nancy Pelosi (D-Calif.) on Thursday dismissed the notion that she’ll be a liability on the campaign trail this year for Democrats. Republicans have long-used Pelosi’s polarizing image to attack candidates by association – a tactic GOP leaders are once again leaning on this election season. But Pelosi said Thursday she believes the strategy will backfire, arguing that voters are simply concerned with more substantial issues, like jobs, the economy and immigration reform. “Most people want to know what the candidate means to them, not what somebody else means to them,” she added. If that’s the case, no one told the Republicans. Indeed, in the last week alone, the National Republican Congressional Committee (NRCC) has blasted emails attacking at least 44 Democrats – both incumbents and hopeful newcomers – by linking them directly to the liberal Pelosi. “It’s Pelosi’s World and Barber Is Just Voting In It,” reads the headline of the ad attacking Rep. Ron Barber (D-Ariz.).